This morning on CNN, Senator Joseph Lieberman asserted that, if the US were to withdraw from Iraq, "Iran and Al Qaeda win." Finally someone willing to stop hinting about dire consequences, and instead give voice to the real problem for the United States in Iraq: the willingness to admit defeat. Lieberman, of course, expected that to be the final word on America's Iraq policy. It's not. 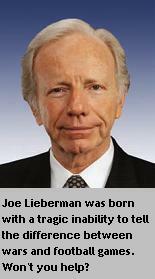 For sake of argument, let's agree with Lieberman. We leave, and Iran and Al Qaeda "win." (That's not necessarily true, especially for Al Qaeda, but let's not get off track.) By implication, the United States loses. But what did we lose? One of the reasons I started this blog is point out, whenever necessary, the importance of separating the different levels of strategy. Grand strategic, theater, operational, tactical, and technical levels are very different. Success at one level does not necessarily bring success at all the others. Just as importantly for the iraq question, failure at one does not trigger failure at the others. If the United States were to lose one part of its theater strategy for the Middle East, it does not portend a cataclysm for the United States in that region, or for the most recently added priority in American grand strategy, counterterrorism. The United states may have to contain the consequences of occupation and withdrawal, but there are several outcomes that may be eminently tolerable for the United States. The Iraqi factions are likely to remain focused on each other, not the United States. Iran may gain power and influence within Iraq, but exactly how does this automatically translate into a catastrophic loss for the United States? Freed from the Iraq trap, the United States might be able to do more in the Middle East overall, instead of pouring more blood and treasure into a single country. Americans might live in less danger of terrorist attack, if the American occupation no longer inspires outrage against the United states. It's hard for Americans to avoid conflating Iraq with the Middle East, and with US national security overall, in part because Americans hate to lose. It's the reason, for example, why military recruitment rates are lower than desired, but reenlistment rates are higher than many expected. American soldiers who have served in Iraq have faced a tough challenge. They feel responsible for the Iraqis who live in mortal danger. Therefore, they don't want to leave a job undone. While America's allergy to losing might be a good thing for the teams playing the Super Bowl, it's a bad thing for US foreign policy. For the United States to remain a superpower, Americans have to be mature enough to accept defeat at one level of strategy, if it does not endanger American successes at the other levels of strategy. There are no military equivalents of Hail Mary passes or on-side kicks. War and diplomacy are not games with simple ways to measure winning and losing--something for which we should all be grateful. Previous posts in this series: grand strategy (1, 2); theater strategy (3, 4). Iraq has re-educated Americans about the hard realities of revolutionary warfare for the first time since the Vietnam War. Even the guerrilla wars in El Salvador and Nicaragua that occupied American attention in the 1980s did not involve Americans in these conflicts to the depth that they are now focused on Iraq. Stories from the Iraq war dominate the daily news. Friends, relatives, and co-workers have been deployed to Iraq. Worries about the cost of the Iraq war creep into the average person’s thinking about personal and national wealth. Using more troops to expand operations in Baghdad might easily make matters worse, not better. Clear and secure operations require cordoning off more neighborhoods, searching more homes, and interrogating more suspects. That may inspire more resentment, not less, of American forces and their Iraqi allies. Worse, the Iraqi troops are not operating in the same chain of command as American forces. Even if American troops perform their task perfectly, it doesn’t necessarily help inspire respect for Iraqi security forces. If insurgents put up any serious resistance, the Iraqi commander might have a much different opinion of risking casualties than his American counterpart. During this “battle for Baghdad,” some Iraqi forces may use the excuse of fighting Iraqi insurgents to take a few shots in the larger Sunni-Shi’ite civil war. American forces, particularly if they don’t understand what’s really happening, may have little chance to intervene. To make matters worse, there are other players in this deadly game. Although many of the contractors included in the “surge” are not mercenaries, some of them will be performing security duties. Even the ones that perform support duties represent a larger contingent of Americans at risk of being killed or kidnapped while in Baghdad. On the Iraqi side, there are also police forces and paramilitary units to consider. Even if they are not directly involved in clear and secure operations, they won’t exactly be sitting on the sidelines, either. The “surge” does nothing to put the right kinds of troops in the line of fire, nor does it ensure that they are pursuing the right strategy. All it does is increase the number of troops in Baghdad. Previous posts in this series: grand strategy (1, 2); theater strategy (3). At the theater level, the Bush Administration’s proposed escalation dos not change the regional balance of power. If you sweep away every other attempt to justify the invasion and occupation of Iraq—the unconventional weapons that weren’t there, the non-existent Al Qaeda/Ba’athist connection, the attempt to implant democratic institutions—the strongest argument left for fighting in Iraq is any effect it might have on Middle Eastern politics. Maybe the war might give regional trouble-makers like Iran, Hezbollah, and Syria pause. Perhaps the war might moderate the Sunni-Shi’ite rift, if for no other reason than Iraq shows the horrible turn sectarian disagreements can take. Maybe the investment of blood and treasure might demonstrate the West’s willingness to invest more in resolving the Middle East’s problems. Unfortunately, to achieve ambitious goals, the United States will need more than an additional 21,500 troops. Iran continues to benefit from the Iraq war, a painful truth that no short-term battle for Baghdad can change. The US has little leverage over Syria. Nothing has changed the US relationship with Saudi Arabia and the Gulf emirates. Most painfully, the Israeli-Palestinian conflict gets little American attention, and certainly does not change as a result of the “surge.” The Bush Administration’s “new” strategy does not commit Americans and Europeans to greater efforts in the Middle East. In fact, the meager scale of the "surge" implies that the US may not be able to sustain its war effort for much longer. The “surge” is not the dramatic mobilization that might have a chance of changing some elements of the Middle Eastern balance of power. This short-term, small-scale escalation is not the pebble that begins the avalanche of change. It is, obviously, a last-ditch effort to salvage a failed strategy. The “surge”does not change US goals at the theater level to something attainable. (He might, for example, have spoken of containing the violence in Iraq, while shifting attention to the Israeli-Palestinian problem.) The “surge” also does not provide adequate means to achieve whatever the goals are at the moment. Bush has made a fetish of staying in Iraq, just as Lyndon Johnson became fixated on staying in Vietnam. However, by the time Johnson left office, the US government had already started the slow disengagement from the Vietnam War. In other words, Johnson was already willing to admit that, at the theater level, there were matters more important in Asia than just Vietnam. In contrast, Bush has proposed to divert more resources into Iraq, which means they will not be available in Afghanistan and other places. The “surge” reduces American freedom of action in the Middle East (not to mention other theaters), based on the remote possibility that a short-term troop escalation will somehow unravel the Gordian knot of the Iraq war. Unfortunately, as we’ll see, this proposal has little chance of working at the operational and tactical levels. Previous posts in this series: grand strategy (1, 2). Having pointed out problems with President Bush’s “surge’ strategy at the level of grand strategy, the next step is to examine it at the level of theater strategy. How much of a difference will it make in Iraq and the region? Unfortunately, not very much. The limited escalation does not alter one of the biggest problems at the theater level, the lack of leverage over the Iraqi government and important Iraqi factions. An increase of 20,000 troops neither signals greater long-term commitment to Iraq, or a firm willingness to withdraw American support if the situation does not improve. This escalation undoubtedly looks to Iraqis much the same as it does to Americans: just enough to claim some sort of minor, temporary change to American strategy, but not enough to significantly alter its formulation or execution. In fact, the fine print of the Bush Administration’s announced “surge” contained something that shows exactly how little leverage the US government has. There will be no unified command in the campaign to secure Baghdad. Iraqi and American forces working side-by-side will report up through different chains of command. While, at some point, Iraqi forces will need to operate independently of American commanders, the task at hand is a joint operation to clear and secure Baghdad neighborhoods. In other words, if this operation is the last, best hope for winning the Iraqi counterinsurgency war, Americans and Iraqis will be fighting two separate battles. Secondly, “the battle for Baghdad” may be the wrong place to start. An enclave strategy, in which Iraqi and American forces focus on securing control in one area before moving on to the next one, needs to start where there’s a high probability of success. Baghdad is important symbolically, especially for the Sunnis whom the Americans are trying desperately to keep within the government coalition. However, Baghdad is one of the most difficult places to sweep and clear. The high population density of Baghdad provides more hiding places for insurgents, including the small groups like Al Qaeda in Iraq that grab headlines with terrorist attacks. Making Baghdad appear secure will be difficult, with car bombs exploding next to police stations and crowded markets. Given the high profile of everything that happens in Baghdad, local leaders, whose cooperation will be necessary in any “clear and secure’ operation, will be harder to get. These leaders know that they have more bargaining chips, given the attention that any “battle for Baghdad” would receive. The government is also fighting the skepticism, among Sunnis in Baghdad and elsewhere, that the new regime is more interested in protecting their interests than settling old scores. Therefore, other parts of Iraq, such as the Kurdish areas in the north, may be better starting points for a long-overdue enclave strategy than Baghdad. Meanwhile, the insurgents whom the US and Iraqi governments are fighting are watching the news. The obvious response to the Bush escalation plan is a short-term escalation of their own—stepped-up attacks that send the message that a half-hearted “surge” can’t decisively end this conflict. That escalation, a Tet Offensive in miniature, may already be happening. I’ll have more to say about how the “surge” doesn’t change the situation at the theater level, when dealing with Iran, Syria, and other regional powers, in the next post on this subject. [For the first post in this series, click here. Since the 2003 invasion of Iraq, the Bush Administration has insisted on, whenever possible, going it alone. The “coalition of the willing” was, short of acting without any allies at all, the furthest the Bush Administration could have gone from the traditional American approach to coalition warfare. In domestic politics, the Administration, once it got a poorly-worded approval from Congress to attack Iraq, shoved the other two branches of the federal government aside. In fact, the Administration deliberately excluded or neutralized important parts of the executive branch, most notably the State Department and CIA. To a startling degree, a narrow part of the US government, the White House and the Department of Defense, prosecuted a war with a far weaker alliance than the United States used in previous conflicts of this scale. The “new” strategy for Iraq, the so-called “surge” of 20,000 troops, primarily in Baghdad, does nothing to break the Administration out of its imperious solitude. Foreign governments are not providing additional troops, money, or even rhetorical support. The Administration has not revised its Iraq alliance, a brittle arrangement in which there is no formal obstacle to the British leaving at any time, and severe doubt that the Iraqi government is even fighting the same war as the United States. There was no sweeping re-formulation, in which regional powers, NATO, or the United Nations made new commitments to ending, reducing, or containing the violence in Iraq. Within the US government, the proposed escalation—surge, augmentation, spike, spurt, whatever—hasn’t changed the Bush Adminisration’s relationship with other parts of the US government. Quite the opposite: the Administration is already digging in its heels during the first round of hearings, such as Attorney General Alberto Gonzales’ recent testimony. If there are private talks between the Administration and the new House and Senate leadership, so what? Politically and constitutionally, the important next moves will occur in the open. Negotiating with the legislative branch of government is not like negotiating with Iran or Syria. The "surge" changes nothing about the Bush Administration's radically different version of American grand strategy. If you have any doubts, look at how little has changed outside of Iraq. Iran continues its march towards nuclear weapons. North Korea has not budged, either on its nuclear weapons program, or anything else. China continues to assert its independence, most recently by trying to blind US spy satellites. Russian continues its effort to cement a sphere of influence and a separate direction from the West. Relations with the European Community have not changed. Whatever the merits or faults of the "surge" as a policy toward Iraq, it is certainly not a new direction for US foreign policy. In announcing the strategy, the White House clearly tried to signal that something had changed. Unfortunately, moving the camera from one Presidential set to another did not alter one of the iconic images of the Iraq war: George W. Bush, speaking alone to the camera. The Bush Administration’s “new” strategy for Iraq—which, as we’ll see, isn’t a genuine change in approach, is wrong on many levels. In fact, it’s wrong on nearly every level of strategy, from the grand strategic to the technical. That framework for understanding warfare is a good guide to why the United States should not prosecute President Bush’s “surge,” and what better alternatives might look like. Rather than create one big mega-post, I’m going to make this one the first in a series. We’ll start by looking at the US grand strategy. GRAND STRATEGY: HOW IMPORTANT IS IRAQ? At the highest plane of strategy, the US government has to put Iraq, one theater among many where American interests are at stake, in its proper perspective. Iraq is not the only concern for US national security; in fact, it’s probably not the most important locus of problems. To date, supporters of the Iraq war—from Wolfowitz to Ledeen, from Leiberman to McCain—have had free rein to refer to horrible consequences if the United States fails in Iraq, without ever having to describe what those consequences would be. By now, the connection between US grand strategy and the Iraq theater of operations should be clear. If not, the prima facie justification for continuing to fight in Iraq fails. Anyone who won’t make the connection in an explicit, convincing way should be laughed out of the room. It doesn’t help matters that Americans, voters and leaders alike, don’t have a clear idea of what US grand strategy should be. The 9/11 attacks may have raised important questions about how well Americans were monitoring threats from enemies who were not states, operating out of countries like Afghanistan that did not seem important. Raising a question is not the same as answering it, however. Americans should not be congratulating themselves on their collective wisdom for having ignored a real threat until planes crashed into the Pentagon and the World Trade Center. Nor should we be pleased with the visceral and brainless reaction that followed. The greatest sin in warfare is fighting without a clear point. Despite (or because of) the kaleidoscope of Iraq war justifications (eliminating Iraq’s alleged nuclear program, changing the balance of power in the Middle East, etc. etc. ), there is still no clear justification for continuing the war. Here is the best case I can make for the importance of Iraq. Iraq in 2007 is what Afghanistan was in 2001, a base of operations for terrorist groups that might be a threat to US interests in the future. Of course, you have to qualify the hell out of that statement: the American occupation inflames anti-Americanism; almost none of the anti-government factions in Iraq have the global organization and resources that Al Qaeda had in 2001; more importantly, almost none of these groups have any interest in attacking enemies outside of Iraq, including the United States. Therefore, you might just as easily build a strategy for containing these threats as eliminating them. From a purely selfish perspective, American foreign policy aims at deflecting attacks against American targets. The fact that terrorists or guerrillas exist somewhere in the world has not, to date, been the problem. The threat that some of them present to American interests, such as the physical safety of American citizens, is the real concern. Instability in Iraq is a threat to American interests in the Middle East. This is one of those places where distinguished foreign policy experts get to waggle their bushy eyebrows and frown, but not say anything meaningful. Political instability in one country is usually a problem for its neighbors, but it’s not an infectious disease that automatically is transmitted to everyone in the vicinity. Iraq may be where factions opposed to the current regimes in other Middle Eastern countries, such as Saudi Arabia and Turkey, get experience, recruits, weapons, and prestige. The risk to allied regimes may increase as a result, but perhaps not beyond containable levels. Of course, the biggest defect of this argument is its narrowness. Iraq is a threat to American interests in the Middle East—not necessarily to American global interests. Because American attention is disproportionately focused on that region does not mean that other parts of the world are getting the attention they deserve. Just as Iraq should not be conflated with the Middle East, the Middle East should not be conflated with US grand strategy. American credibility is now at risk. According to some pundits, having declared Iraq to be the central battlefield in the “global war on terror” (I still chuckle at the acronym, GWOT), the US government risks looking foolish if it abruptly withdraws from Iraq. Breaking American promises to the new Iraqi government and its neighbors would make other allies question American commitments to them. American enemies would gain confidence, seeing the United States retreat from Iraq. Fortunately, every one of these concerns is unfounded. Average citizens and heads of state around the world do not believe that Iraq is the central battlefield of counterterrorism, except to the extent that Islamic extremists in their own countries are using the Iraq war as an opportunity to sharpen their swords. Shifting 20,000 American troops to Iraq will have no effect on what happens in Morocco, Yemen, Uzbekistan, or Pakistan. Given how strongly world opinion is set against the US strategy in Iraq, perpetuation of that strategy is the greatest risk to American credibility. Anyone following the Iraqi conflict knows that American promises to the Iraqi government may be moot. If Shi’ite leaders use government security forces to wage their side of the civil war, instead of building a confessionally neutral Iraqi state, the current American strategy effectively stops. American diplomacy will have to shift to new targets, such as mediating an end to the civil war, and trying to salvage something from the collapse of the Iraqi constitutional and political arrangements. Only the most insecure person believes that never admitting a mistake is the road to credibility. In fact, there are few things more comforting than to hear a powerful individual admit that he or she made a mistake, but is rectifying it. Sure, the normal rules of American politics mandate the rigid, Kabuki-like drama around blunders and scandals, in which admitting error is the very last step in a long, predictable process of denying, stonewalling, distracting, and finally, confessing. To summarize, at a grand strategic level, there are plenty of reasons to question the importance of Iraq. American leaders who supported the war are now trying to depict an American withdrawal as the ultimate boogeyman. By American leaders, I mean anyone who makes the unchallenged assertion that an American withdrawal would be the worst possible calamity. This category includes politicians and pundits who say that, while they admit they were wrong to support President Bush’s policy earlier, the United States has to clean up the mess it made. (I still marvel that a major part of US foreign policy has been based on a Pottery Barn slogan.) No proposal for continued prosecution of the war should be given one second of attention unless it starts with a convincing explanation of how Iraq substantially threatens the truly important things at the plane of US grand strategy. According to this CTV report, the Taliban is looking for anti-armor weapons. But why? Certainly, the Taliban guerrillas in question may be shopping around for anti-tank mines and rockets for all the wrong reasons. Insurgents aren't supermen, immune from error. For example, the ELAS guerrillas in Greece's civil war tried to use conventional methods at the operational level of strategy, and the Greek government thanked them for this chivalric gesture by cutting them to pieces. The current Taliban leadership, or some faction within the Taliban, may just be making the same mistake, looking for ways to fight battles that don't need to be fought. Not too long ago, the Taliban defeated the mujahideen government (later, the Northern Alliance, and now the coalition behind the current government in Kabul) without a healthy arsenal of anti-armor weapons. The mujahideen had a healthy arsenal of tanks and armored personnel carriers, many appropriated from the former Najibullah government. While the Taliban wasn't exactly powerless against these weapons, Kabul didn't fall because of some Kursk-like clash of armor, or waves of anti-tank rockets fired against government vehicles. You could make the argument that the mujahideen used their tanks and APCs poorly, while the NATO allies are not making the same mistakes. Mujahideen armored units often did act more like mobile artillery, driving from one fixed position to another, blasting any enemies they found at each point. NATO APCs are highly mobile and well-armored, and the tactical doctrine that guides their use is much better than what the Taliban faced in the past. However, what happens at the technical and tactical levels of the current war in Afghanistan won't decide the conflict. The Taliban's essential strategy remains the same: maintain a military and political presence until the NATO allies withdraw and the Kabul government collapses (in whatever order those two events occur). Meanwhile, the Taliban has to avoid being shut out of whatever enclaves the Kabul government and its foreign patrons can establish, in an ever-widening swath of the Afghan countryside. Anti-tank weapons may help the Taliban keep any potential enclave from being totally secure. They may also be an important political tool: destroying NATO vehicles--and killing a lot of enemy soldiers in the process--is good PR for the Taliban. If, as the CTV article suggests, the Taliban is planning on raiding NATO and Afghan National Army (ANA) bases, the goal is the same: demonstrate that nowhere, no one, is safe. An article in last month's Armed Forces Journal made an argument that I haven't heard for a while: the irrelevance of battle in modern strategy. While that sounds like the sort of musty subject that only military academics at the Army War College or Sandhurst might care about, it's actually a thesis that, if correct, should change everyone's expectations and measures of the utility of war. The early forms of this thesis have been around for quite a while. Clausewitz, for example, made it clear that the standard concept of battle—two armies locked in a death struggle, waiting for the moment to deliver the decisive blow that would subdue the enemy militarily—could easily be irrelevant. 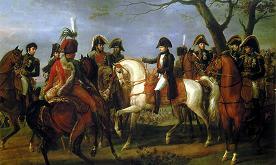 Having lived through the Napoleonic Wars, he had plenty of examples where the victors of battles still lost the war. In 1812, the Grande Armée smashed the Russian Army in a series of dramatic battles (including Borodino, a major part of Tolstoy's War and Peace), occupied Moscow, and later evacuated Russia with a fraction of its original strength. In Spain, French generals came to grief chasing mobile British columns and elusive guerrillas. Napoleon, for all his self-publicity about being the master of the battlefield (a claim certainly supported by victories like Austerlitz), could not transform tactical and operational success into theater and grand strategic victories. Years later, Clausewitz would be writing On War with Napoleon clearly in mind. Battlefield victory, Clausewitz pointed out, doesn't necessarily translate into the political outcome you desire. However, Clausewitz still believed that battles could manufacture political results, even though he was careful to warn his audience that one does not always flow from the other. John Keegan, a modern military historian and theorist, argued in The Face of Battle that battle itself might have become obsolete. After surveying famous battles like Agincourt and the Somme, Keegan concludes that various technological, strategic, and historical changes have made the notion of a decisive battle an illusion. Writing in the later years of the Cold War, Keegan pointed out that traditional "battle" depends on avoiding military scenarios that risk nuclear escalation. Assuming you overcome that hurdle, the enemy has to agree to meet you on the field of battle, an increasingly rare situation in an age when people have mastered "the war of the flea." The increased cost of war, and its disruptive effects on an increasingly interdependent international system, makes a sustained military effort that much harder. Keegan was not arguing that war was futile. Instead, what the Armed Forces Journal article described as "the Austerlitz moment"—the dramatic battle that decides a conflict—is increasingly rare. Although Keegan didn't phrase it in quite this way, he in effect argued that the operational level of strategy, the critical middle layer between the tactical and theater levels, has fundamentally changed, changing its focus from battle to smaller, steadier clashes. Saddam Hussein learned this lesson in the hardest possible fashion. The 1990 invasion of Kuwait was supposed to be the decisive stroke that, by putting Iraqi teeth on the Persian Gulf oil artery, elevated Iraq's position in the Middle East and the world. Instead, his invasion locked Iraqi forces into static defenses, waiting for the US-led coalition to evict him from Kuwait, cripple his army, and force Iraq into a humiliating regimen of international inspections, economic sanctions, and effective loss of control over major portions of its territory (particularly in the north). Before you conclude that Operation DESERT STORM, a successful battle, disproves Keegan's point, think again. DESERT STORM occurred in a golden moment between the end of the Cold War and the emergence of whatever new international order there was to come. The USSR had collapsed, and its Russian core was economically and politically crippled. No nuclear-armed rival was in a position to oppose a Western military build-up in Saudi Arabia. In fact, most countries had good reason to side with the United States: by threatening the Persian Gulf oil supply, Hussein antagonized the world, not just Iraq's immediate neighbors. Hussein learned the value of avoiding a direct confrontation. When the invasion of Kuwait inspired anger, not acquiescence, in the United States, Hussein began planning for future conflicts. The inspections, no-fly zones, sanctions, and intelligence operations against the Ba'athist regime gave Hussein a better picture of how the US government operates than he had before DESERT STORM. These experiences gave Hussein an appreciation of the value of bluff, delay, and obfuscation, the cornerstones of his new strategy. If the Americans attacked again, some Iraqi forces would put up a fight, but the rest—particularly the fedayeen units—would go into hiding. Thus was one major part of the current Iraqi insurgency born. While Hussein may be in prison, his fate is by no means decided. 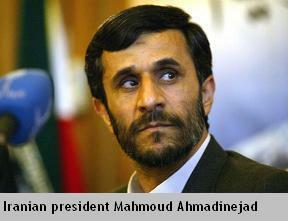 Who knows what might happen to him, were the new Iraqi regime to collapse? Meanwhile, the Iranian theocracy has continued its decades-long campaign of indirect conflict with the United States. The latest crisis, in which Iran is testing its ability to play nuclear brinksmanship, is merely the latest in a series of attacks on the American political, economic, and military flanks. While the seizure of American hostages shortly after the Iranian Revolution might have been as much improvisation as deliberate strategy, other stratagems—Iranian support for the Hezbollah, the Iranian attacks on Persian Gulf shipping in the 1980s, and Iran's nuclear program—have been far more deliberate. Iran is not looking for an "Austerlitz moment," even in a confrontation over its nuclear ambitions. Instead, it continues to antagonize the United States, waiting for American leaders to make a crucial mistake, or simply give up some of its position in the Middle East out of sheer exhaustion. Nuclear weapons don't change the game Iran has been playing for nearly thirty years; they simply increase the odds of success. For American military planners looking for an "Austerlitz moment," the People's Republic of China may be the last opponent that might reasonably grant that opportunity. However, China is just as experienced with this kind of indirect strategy, and far more skilled at it than the Iranians. Even the recent Chinese naval build-up, a development not widely reported in the Western press beyond a few military journals, is not aiming towards a decisive battle with American forces. To use classic Mahanesque naval terminology, China is more likely to seek "sea denial" than "sea control." If the United States and the PRC got into a shooting war over Taiwan or some other objective, the Chinese navy is practically doomed to lose any naval battle. The important question, however, is how many losses Chinese ships, submarines, and aircraft can inflict on the US Navy before they are defeated—particularly if Chinese forces avoid any major engagements. The Chinese naval expansion raises the possibility of unacceptable American losses in any such war: how many aircraft carriers would have to be sunk before US officials felt the political costs of rescuing Taiwan were too high? How many ships and aircraft could the United States lose in the western Pacific before it felt its overall ability to project naval and air power worldwide strained to unacceptable levels? In short, wherever Americans look, they see a military landscape that is poor ground for future D-Days, Yorktowns, or Gettysburgs. While military power is hardly obsolete, it is now used to engineer different results than decisive battles. When intimidation fails to produce results, armed conflict is the next logical step in dealing with problems like Al Qaeda's safe haven in Afghanistan, or Iran's threat to build and use nuclear weapons. However, contemporary military action at the crucial operational level of strategy is not about the preparation, conduct, and aftermath of a decisive battle. Operational strategy is, instead, the plane of sustained, smaller-scale actions that cascade towards a political outcome. Perhaps, then, we should do away altogether with the phrase, "the Battle of," when describing recent history. For example, there was no "Battle of Baghdad" in 2003, or "Battle of Fallujah" in 2004. Major mobilizations of US military power do not necessarily lead to decisive results. In fact, the Iraqi invasion led to the exact opposite of what the Bush Administration intended: rather than resolving the problems of the Middle East in a daring masterstroke, the modern equivalent of Napoleon's march on Austria in 1805, the invasion made the Middle East even more problematic. Worse, the United States is now more deeply entangled in the barbed wire of Middle Eastern politics than it was before. In the 1990s, the important American foreign policy question was how best to use the United States' newfound position as the world's remaining superpower. A decade later, the important question is how a local election in Najaf or Karballah might determine the future exercise of US military power. There may be no better illustration of how the traditional concept of "battle" has become a mirage, luring the likes of Saddam Hussein and George W. Bush into dangerous military expeditions. Sometimes, people notice important shifts, but read them the wrong way. This article in Army Magazine by Lt. Col. Robert Leonhard is a good example. Leonhard puts his finger on one such shift: the battles of the 21st century, he argues, look less and less like the D-Day invasion 60 years ago this month. Instead, US forces--particularly the "point of the spear," the Army and the Marines--are engaged in complex politico-military operations, primarily in heavily-populated areas. Napoleon's Grand Armée fought on empty fields, across which it faced easily-recognized opponents, neatly lined up, awaiting battle. Today's wars are fought house-to-house, in places where civilians are caught in the crossfire and the enemy isn't so easily identifiable. Before Iraq, many parts of the US military, including the Air Force, were keenly interested in "urban warfare." They noticed this shift in battlefields, and they decided to make as much a virtue out of this necessity as possible. In typical fashion, the Department of Defense didn't just develop one urban warfare strategy; if you looked closely enough, you'd see a different strategy in every branch and service. If you take a look through some of the military and think tank periodicals of the last decade, you'll see what I mean. However, Leonhard's otherwise excellent article falls victim to a common fallacy: because something is new to me, it must be new to everyone. If you look at the history of many US conflicts in the 19th and 20th centuries--the various deployments to the Philippines, China, and Central America, for example--you'll see many of the features of "the new battlefield" that Leonhard describes. If you expand your focus a bit more to other countries (for example, "Queen Victoria's little wars") or across time (the Roman occupation of Palestine or Britain, for instance), you'll recognize the contours of this "modern" military mold. You won't be surprised to hear, then, that I don't agree with Leonhard's conclusion that you might as well chuck your copies of Clausewitz, Liddell-Hart, and Sun Tzu in the trash. The vision we have of neatly compartmentalized Napoleonic battles distorts the real history of warfare, which includes messier kinds of warfare, and does a great disservice to the classic strategists. Clausewitz wrote about the connection between politics and war; he didn't write a manual on how Napoleonic armies should march in column, fire in line, and form into a square when enemy cavalry charged. Nothing about friction, the initiative, the dialectic of measure and countermeasure, the indirect approach, or other classic strategic principles has changed because the battlefield now features more buildings and civilians. Nor, as Leonhard contends, does the operational level of strategy disappear. It might be less tidy than the Grand Armée on the march, but it is definitely still there, as I discussed at length in earlier posts. You ignore the operational level at your peril. You can't, for example, respond to guerrillas and terrorists in necessarily different ways just by finessing the lines of authority among military and civilian bureaucracies. Still, it's a good article, and I recommend it despite my misgivings about its conclusion. Less than a day after I posted this piece on the technical level of strategy, I ran across this case study of the 1973 Arab-Israeli War from Parameters, the journal of the US Army War College. It makes the same basic point: the technical dimension is important, but it's usually vastly overrated. The Army War College has been home to a lot of good discussions about counterinsurgency and counterterrorism. There are some thoughtful people in uniform doing serious work on the subject. See this article, also from Parameters, for a good example.